Eric Braun, one of Britain’s most famous showbiz writers, has died at the age of 86 at Brinsworth House, the Entertainment Artistes Benevolent Home in Middlesex. He began his career as a an assistant film director in the 1940s and went on to write bestselling biographies of Doris Day, Elvis Presley ("The Elvis Film Encyclopedia") and Deborah Kerr. He also co-authored three books with the actress and comedienne Beryl Reid. 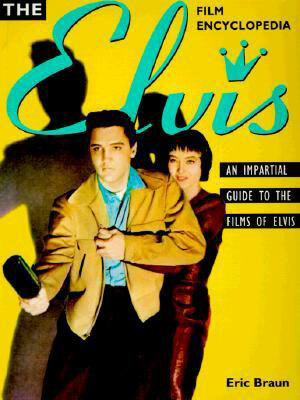 Eric Braun wrote "The Elvis Film Encyclopedia" (ISBN: 9780879518141 / ISBN10: 0879518146) which was issued in the UK by B.T. Batsford Ltd. and in the US by Penguin Books in 1997. Description: From "Clambake" to "Viva Las Vegas", this complete illustrated guide to Elvis on film is filled with meticulous entries which include date, original length, director, co-stars, complete credits, soundtrack details, and a complete summary and fascinating anecdotes about the making of each film. 75 illustrations, 40 in color. I was once given this book as a present and it was an exact copy of several other books about Elvis' films that had come out prior to this. Several of the photo captions were wrong and there was nothing in the book that we didn't already know from many previous books on this subject.